​Can we live a moral life without God? Are religions a force of good in the world? Is there life after death? 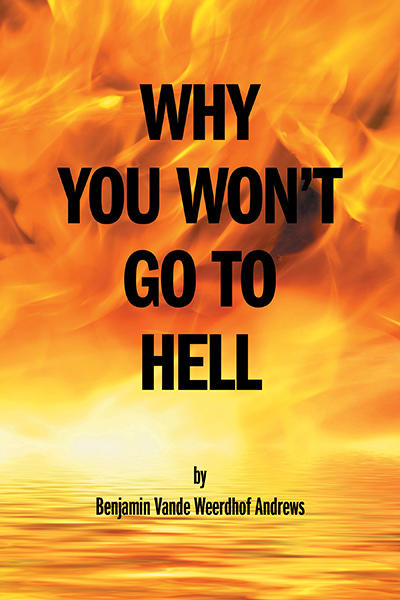 In Why You Won’t Go to Hell, Benjamin Andrews argues that the time of religion is passing, and that humanity must create new laws and new systems to meet the challenges of a modern world based on science, logic, and the betterment of all. The book aims squarely at those who still seek answers to some of life’s biggest questions, or those who live in religious communities but fear the consequences of admitting their loss of faith. By drawing on thousands of years of history and cultural beliefs from around the globe, it challenges everything we think we know about spiritualism and religious belief.